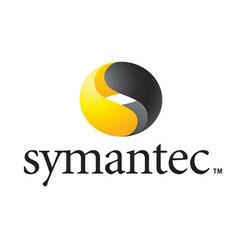 We are a leading Ecommerce Shop / Online Business of quick heal internet security and symantec antivirus end point from New Delhi, India. Ransomware Protection - The Anti-ransomware feature uses Quick Heal’s behavior-based detection technology that analyzes the behavior of programs in real time. This helps in detecting and blocking threats such as ransomware. As an added layer of protection, this feature also backs up your data in a secure location to help you restore your files in case of a ransomware attack. Web Security -Automatically restricts access to websites that are designed to infect your PC with viruses, or trick you into giving away your personal or financial information to hackers. Email Security - Cloud-based Email Security prevents spam, phishing, and infected emails from reaching your Inbox. Safe Banking - Secures your financial details while you are banking or shopping on the Internet. When launched, this antivirus feature begins a safe desktop session with the supported Internet browsers. 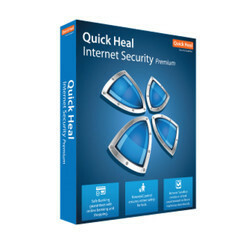 Quick Heal Safe Banking prevents Internet threats such as phishing. It also blocks malicious programs such as keyloggers that record what you type on your keyboard. Browser Sandbox -Running your Internet browsers in Browser Sandbox gives you a secure, uninterrupted browsing experience. It acts as a protective screen between the PC's operating system and malicious threats, thereby reducing the risks of unexpected or hidden malware attacks. Firewall- Firewall is an essential antivirus security feature that keeps your PC safe against external threats over the Internet. It also blocks threats that may arise within networks that are connected to your system. Besides allowing you to configure protection for incoming and outgoing Internet traffic, our enhanced Firewall lets you set a Firewall profile for network connections such as ‘Home’, ‘Work’, ‘Public’ or ‘Restricted’. It also includes the Stealth Mode feature which makes it difficult for hackers to trace your system. Running a business and keeping customers happy is hard enough without also having to worry about online threats. But viruses, malware, and other threats remain a reality, and they're becoming more numerous and sophisticated every year. In fact, cybercriminals are targeting small businesses to gain access to larger organizations. In 2014, 60% of all attacks struck small and medium-sized organizations. That's why it's more important than ever to be sure your critical assets are protected. Online protection for your business should be powerful and easy to use without requiring special hardware or technical expertise. It should also protect your laptops, desktops, and servers, without slowing them down or impacting end-user productivity. Looking for Antivirus Security ?